Palm trees iced over, fish froze in the seas, birds could no longer take flight. 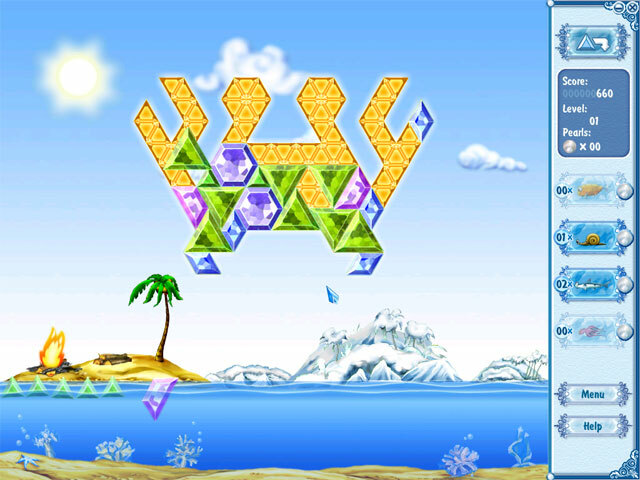 Bring warmth back with your puzzling skills.Solve puzzles, free the world from ice!With a wave of his icy fingers, the Snow King unleashed a bitter frost on the tropical islands across Earth. 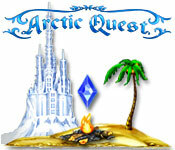 In Arctic Quest, you set out to solve the puzzles. 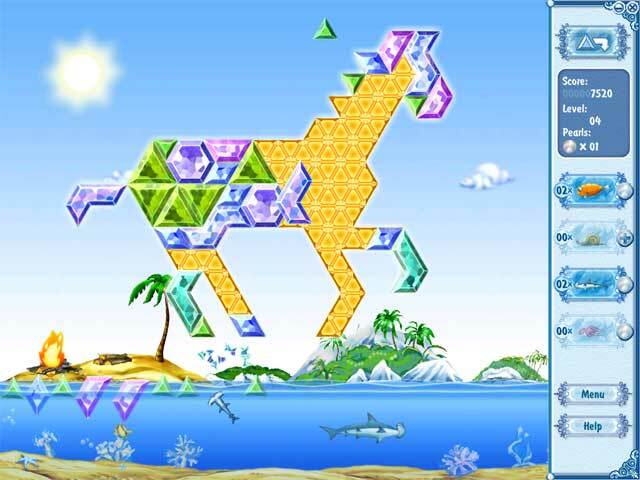 As pieces of ice fall from the sky, grab them with your mouse, rotate them and place them on a grid within the puzzle, filling in the shape and returning warmth to the island bit by bit. 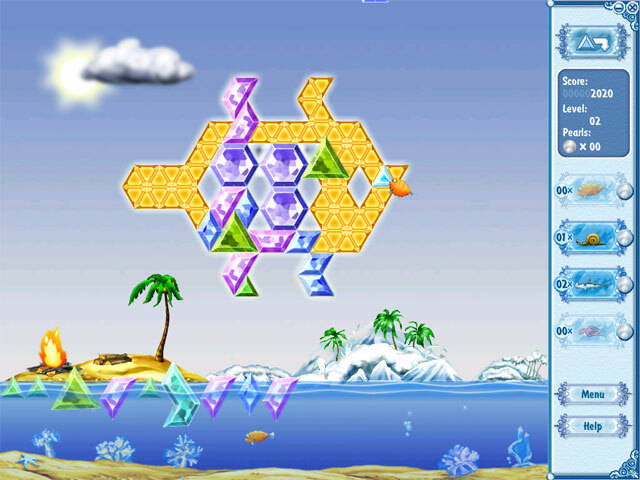 If the waters that surround your once balmy home fill up with unused ice, your quest will fail.